Shuffle Master is taking a trip back in time with this very retro, very fruity slot machine. This is a classic fruit machine with familiar symbols and a few surprises up its sleeve as well! You can say it’s a classic game with a modern twist, with plenty of action and rewards through super smooth gameplay. 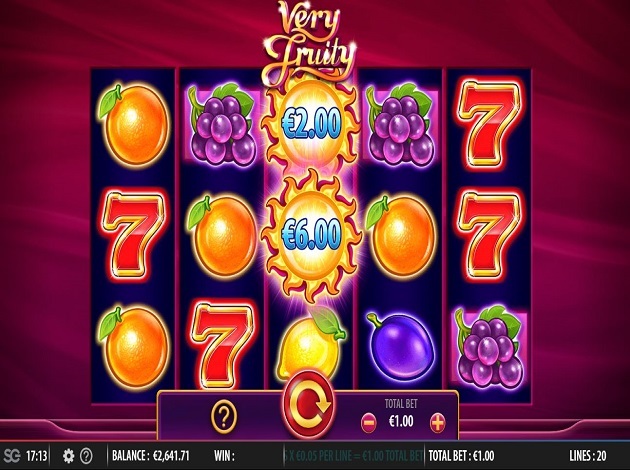 Very Fruity consists of 5 reels and 3 rows, played over 20 very fruity paylines. 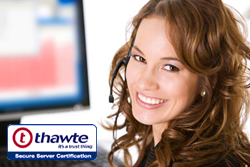 The RTP rate is 95.51%. The highlights of this fruity game include wilds, scatters and a Sun bonus. Even though this is a very retro slot, free spins are still up for grabs in Very Fruity! The betting range for Very Fruity is really varied, making the game ideal for low-rollers and more experience players as well. Bets start at just € 0.2 and can go up to a maximum amount of € 500. Most of the symbols you’ll see on these fruity reels will be very familiar, including fruits like watermelon, grapes, plums, oranges, lemons, and cherries. There are also blue diamonds and lucky red 7s. The special symbol here is the yellow sun symbol, which is the bonus symbol. The wild is the blue diamond and it appears on reels 2, 3, and 4, substituting for all symbols except the sun bonus. The sun bonus can appear on all reels. Five or more sun symbols will lead you to the Sun Bonus. During the Sun Bonus, a cash value will appear on each sun symbol. Sun symbols always indicate a cash value, but payouts are only made when you get a minimum of 5 sun symbols. Once the bonus is triggered, you win the total of all 5 or more sun symbols plus entry into the free spins round! The free spins are awarded in the Sun bonus, so you first have to get to the Sun bonus to get to the free games. This round comes with the advantage of big value cherries, which are also bonus symbols for the duration of the free spins. The value of the cherries will be indicated at the end of the free spins round. You’ll get an initial 5 free spins and they can be retriggered again! Wins are awarded from left to right only, but the Sun Bonus and Big Cherry Bonus pay both ways! They also pay anywhere on the reels, even if not on an active payline. The red 7 is the highest paying symbol, earning you 25x your bet for 5 matching symbols on a payline. The watermelons and grapes come with a maximum prize of 10x your bet, while the plums and oranges pay a maximum of 5x your bet. The lemons and cherries are the lowest paying symbols, coming at a maximum payout of 2.5x your bet for a hit of 5 matching symbols on a payline. Very Fruity has a great classic, retro feel to it, complete with a great soundtrack. The happy music will easily keep you entertained for a long time and the fruits themselves are quite a sight! The design is full of bright, deep colours, and the fruits are so shiny that they simply pop out of the reels! The background of the reels is a simple dark red, and the symbols contrast nicely with the dark blue and purple background, with a soft glow around each symbol. Shuffle Master definitely didn’t skimp on the graphics and even though the overall design is quite simple, the graphics are all brilliantly executed, which definitely enhances the gameplay. At the bottom of the reels, is the purple game panel, where you’ll find the help button which takes you to the paytable and the rules of the game. Next to that, you can click the autoplay button to start or stop the autoplay round. Adjusting your bet is simple and all you have to do is click the – and + buttons to choose your stake. Very Fruity is a fun, simple and straightforward game that offers lots of entertainment for players. The feel-good music, flashy animations and original features are enough to attract all sorts of players, especially if you’re a lover of traditional games!